Sitting at a meeting of my writers group last week, I found myself speaking about the importance of conducting proper research when constructing a novel. After a few minutes of discussion on what I consider to be one of the fundamental elements to craft of writing, several members of the group expressed their surprise at the amount of research I tend to conduct in the process of writing a novel. Another asked the importance of research, given the rather fantastical genres in which I generally write. Literary critic Georg Lukács stated that characters “once conceived in the vision of their creator, live an independent life of their own; their comings and goings, their development, their destiny is dictated by the inner dialectic of their social and individual existence.” He believed that characters “try to live their own lives,” independent of the author who created them. This strive for independence, in turn, frequently forces an author to research places, activities, and fields in which he or she has never before had an interest. So began my journey into researching various forms of combat. I did this by first, reading lots of books on various forms of martial arts, reading fiction which featured elaborate fight scenes, and even watching a few old kung-fu movies. Then, I attended classes at local karate and jiu-jitsu dojos. Though I did not partake of the actual courses, I conducted multiple interviews with instructors and observed students for hours on end, having specific movements demonstrated for me by students while I took extensive notes on the technique, instruction, and history of both disciplines. When I had eventually written and completed these scenes to the best of my ability, one of these instructors was kind enough to read through and critique my action sequences. Several months ago at the Dublin Writers Festival, I listened to a speech given by bestselling author, Dan Brown. Brown addressed the topic of research, by stating that his most extensive research lies in the locations he describes in his novels. He makes a habit, especially for his most recent novels such as The Inferno, of visiting the places that he plans to describe. This research allows him to describe the locations with vivid accuracy and incredible levels of description. Research is an important and vital part of the creation of a novel, no matter what the genre. While it is true that authors of speculative fiction might be able to take more liberties than those of non-fiction or realism, research still remains a vital part of the writing process. My second author event was held at Rusty Grape Vineyards on Oct. 30th of this year. There was a great turnout, in large part due to the generosity of the vineyard owners, Jeremy and Heather, who provided a free pasta dinner to everyone who came out for the signing that night. So a very special ‘thank you’ to them for allowing the event to be hosted at their beautiful vineyard and helping in making the event such a success. Their continued support of local artists is always appreciated. Also, a big thank you to everyone who came out to the event and for allowing me to share my creative work with you! Like the first signing, I read a section from both my currently published novel, The Indoctrination, and a yet-to-be published piece titled Rise of the Temple Gods: Heir to Kale. It is the first novel in a trilogy which will probably be released sometime early next year. In addition to free dinner, guests also received free signed cards featuring an excerpt from the currently released novel. I enjoyed both events and am looking forward to doing more in the future. I am back in Dublin, though it took a full twenty hours of transit time. I find myself both happy to be back, and sad to be back at the same time. The entire experience, both the time spent Washington and the conference spent in New Orleans, was amazing. I had waited a very long time to meet Anne Rice, and still think a part of me is among the clouds over the fact that I actually had the opportunity to converse with her. I also made several new friends along the way. Anyway, now I should probably take a deep breath, and get back to writing – both creatively and academically! Last week I attended the Undead Conference in New Orleans, hosted by the phenomenal staff of the Anne Rice Vampire Lestat Fan Club. 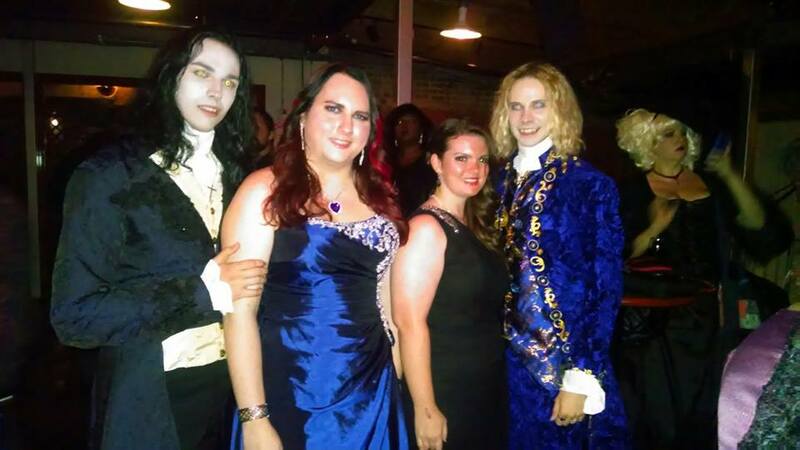 It is an annual event which celebrated its 25th anniversary this year, primarily by the commencement of the annual Vampire Lestat Reunion Ball. For a student of Gothic Literature, the event was nothing short of one of the most amazing and exhilarating experiences of my life. Over the course of the four day conference, I sat through multiple panels featuring authors from the newly and independently published, such as the talented Greg Wilkey, to bestselling authors like Christopher Rice. These authors entertained their audience through speaking about their various novels, answering audience questions, and participating in lively debates concerning everything from the nature of good and evil to the best ways to sell your novel to a television or film company. There were several highlights throughout the weekend. However, I would like to share my favourite, which is on a bit of a personal note. Among those who attended the vampiric festivities was long time friend, ‘SR’ and my mother-in-law, ‘TB.’ It was their first experience with the Gothic World of the vampire events which I tend to frequent and it was great to have them along. 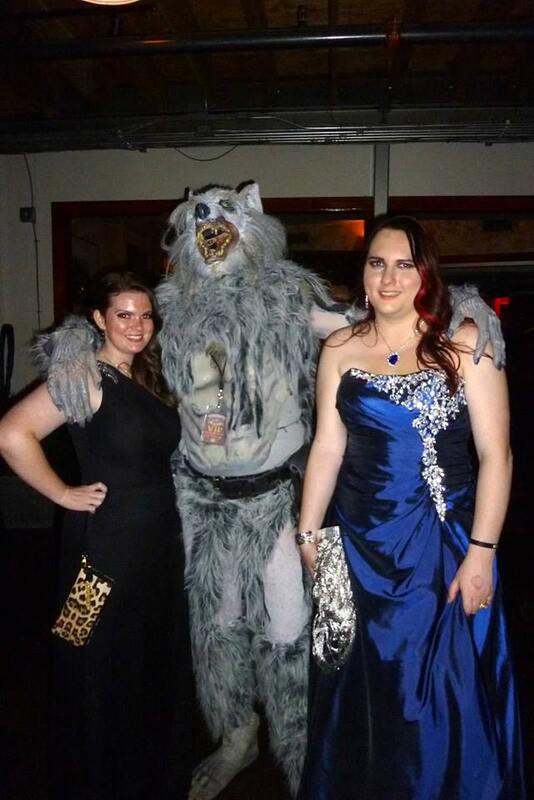 My favourite moment was at the actual ball, when a vampire walked up to ‘TB’ and asked: “Excuse me, have you seen a werewolf?” The moment – priceless! Later in the evening, we did indeed, find the werewolf! 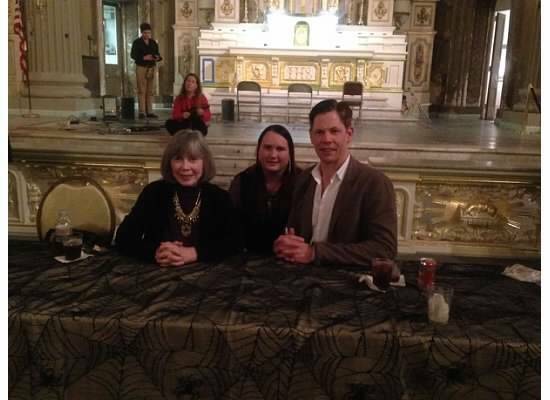 The real highlight was, of course, meeting Anne Rice herself. I had the pleasure of speaking with her at two different events during the conference, first at a cocktail party held the first night of the conference and second, at a book signing in the Garden District. She was signing her newest novel, The Wolves of Midwinter along with her son Christopher who was signing his own recently released novel, The Heavens Rise. I also met Becket at these events, Rice’s assistant who recently published his own novels in the vampire genre, The Blood Vivicanti. Meeting Rice was a dream, not only a long-time reader of her novels, but also as an academic who completed my MA dissertation on her Vampire Chronicles. She was kind, gracious, and meeting her was one of the greatest moments I have ever experienced. The Ball itself was also a lot of fun. We met a lot of fellow authors and fans alike, listened to some great music, and danced the night away on a floor which had been transformed into a Gothic paradise. 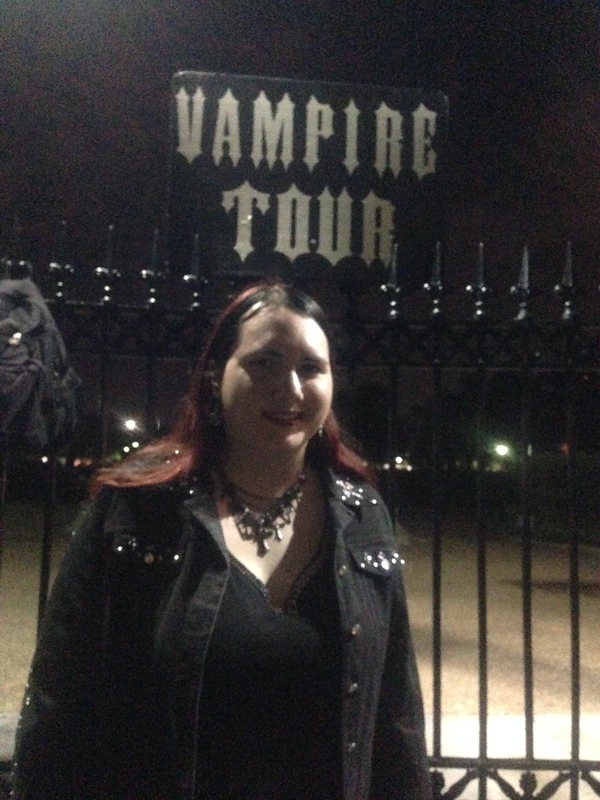 As it was my first visit to the Crescent City, we also took a haunted tour of the French Quarter which was both informative and fun. A favorite place was, of course, seeing the house where Anne Rice once lived and wrote numerous novels. As well as visiting a few of the famous cemeteries. We explored many of the delights of Burbon and Royal Street and were even there for the annual Halloween parade. We also made some great new friends along the way. The ball and conference was a wonderful experience which I would highly recommend to anyone with a love for the Gothic, Vampiric, or simply the darker side of literature.